Dr August Nagel began his camera design business in 1908 as Drexler and Nagel, quickly to become the Contessa Kamera-werke a year later. In 1919, he bought the Nettle Kamera-werke and renamed the combined operation Contessa-Nettle AG. Post-WW I Germany was a difficult economic environment for entrepreneurs and many small manufacturers failed. While Dr Nagel's designs were technically successful, he found it financially necessary to join other small companies that formed Zeiss Ikon. That liaison was short-lived, however, and in 1928 he again formed his own firm, Dr Nagel-Werke, specializing in folding plate cameras. In 1932, Eastman Kodak bought this business and established it in Stuttgart as Kodak AG, with Dr Nagel as its managing director and design head. Dr Nagel had been an early adopter of downsizing to exploit the emerging finer grained emulsions. He had produced the Recomar quarter plate cameras while these were still favored by advanced European amateurs, but he was quick to recognize the advantages of designing cameras around the new roll films. The Pupille, using 127 roll film and available with a fast f /2.0 Schneider Xenon lens in a helical lens mount, could be seen as a capable alternative to the Ermanox. It also mounted slower Xenars, Elmars and Tessars. Kodak AG also made at the same time a bellows design for 127 film usually described as the Kodak Vollenda No. 48 with slower Schneider or Zeiss lenses and a more modest No. 52 with only a metal frame eye-level finder and a similar lens selection. The slower lenses were front-cell focusing, while the others had helical mounts. Kodak wanted to compete on equal terms with the German manufactures of precision cameras, and it recognized the emergence of miniature photography as a new front. It had an image problem, however. Kodaks were seen as family cameras and the assault was being led by the manufacturers of German precision equipment. Leicas and Contaxes were well beyond Kodak's traditional pricing, however, and the opportunity to undercut the pricing of the competition fit well into the Kodak marketing strategy of making photography accessible to mass markets. It charged Dr Nagel with the task of creating a 35mm camera that would challenge the 35mm models that other German companies were offering, but at a significantly lower price. The 1934 Retina, a bellows folder with reliable cross-strut supports was his answer and it succeeded handily in its market niche, aided significantly by a new film cassette design by Kodak that, through the use of disposable cassettes, greatly simplified film loading. The original Retina had a rigid, direct view finder. A second Retina was added with a rangefinder and designs in this basic form persisted well into the 1960s. The Nagel-Werke factory adopted folder designs from Rochester, some of which differed little from their American counterparts. The international Kodak organization, realized however the cachet that precision German designs could offer to advanced amateur photographers and responded with a series of rollfilm designs built in Stuttgart and variously marketed on the Continent, in England and the U.S. The Duo half-frame 16 on 620 horizontal designs were offered with and without a rangefinder. The model with the folding finder is only slightly larger and heavier than the contemporary Retina, yet makes an image with over twice the area. This model was available in both Europe and the U. S. with Kodak Anastigmats and in Europe only with Xenars or Tessars, with the slowest models using front-cell focusing. Although McKeown lists production from 1935-37, these were advertised by Kodak at least as late as May 1938. The Suprema was a 12 on 620 horizontal folder with a rigid viewfinder of similar design to the Duo. The elegant Regent was not only unique to Stuttgart, but was unique within Stuttgart. While most Nagel models had bodies with angled ends, unlike immediate pre-war Rochester folder models that had migrated to rounded ends, the Regent was streamlined and, turtle-like, retracted all of its appendages into its smooth shell when not active. The very compact Deco design included an ingenuous, but separate coupled rangefinder smoothly tucked into its rounded contours and an equally ingenious and practical popup viewfinder.The Regent II, which returned to the angular body profile, had a coupled, superimposed rangefinder combined with the viewfinder. These top-end Stuttgart folders were offered with f/4.5 and f/3.5 Schneider Xenars or an f/4.5 Zeiss Tessar; the Schneiders were uncoated while the Tessar may have been hardcoated, since Zeiss began coating in 1937. 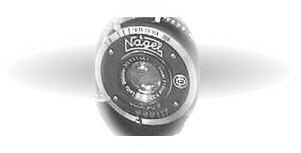 The Nagel models competed in price and quality with offerings from Zeiss, Voigtländer, Agfa, and Ensign in England. Both cameras were produced from 1935-39. Both models made 6x9 images and could be adjusted to make 6x9 half frames (6x4.5). Kodak AG continued the Retina series after WW II, improving on its rangefinder 35mm designs by redesigned finders, exchangeable lens elements altering focal length and exposure meters. When SLRs emerged as the market choice in the mid-1960s, Retinas followed suit, but German production could not match the value created by Japanese camera technology, and Stuttgart offerings fell victim to the same economic and technological forces that had doomed Kodak's American production. In an anomalous marketing move, the English division in 1958 introduced the Kodak 66, a modernized, plasticized Suprema with a front-cell focusing f/6.3 or f/4.5 Anaston--perhaps the last folder that Kodak offered. There are links to Retina pages on the Kodak links page .